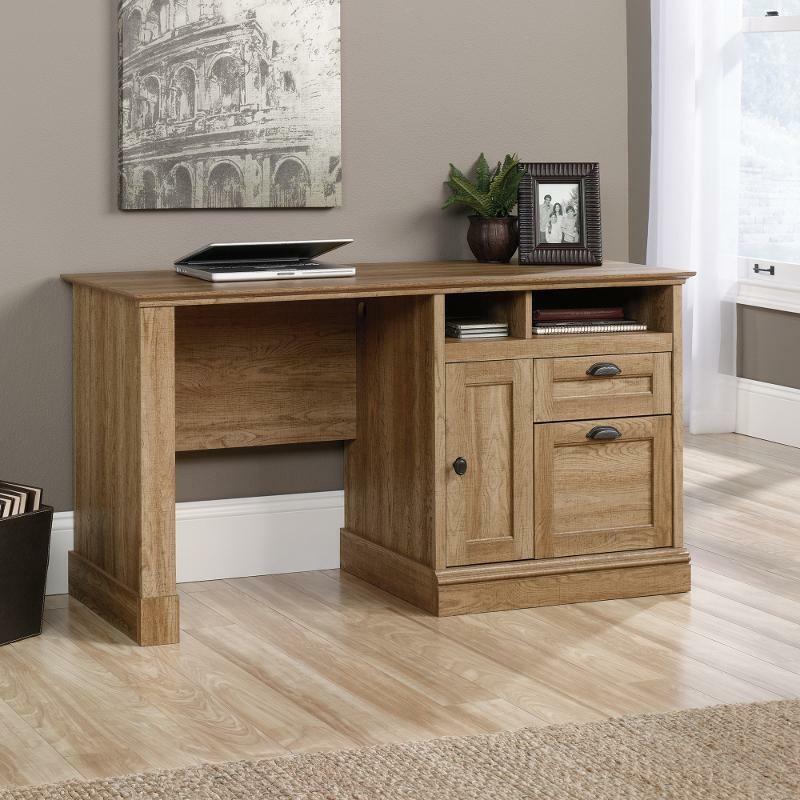 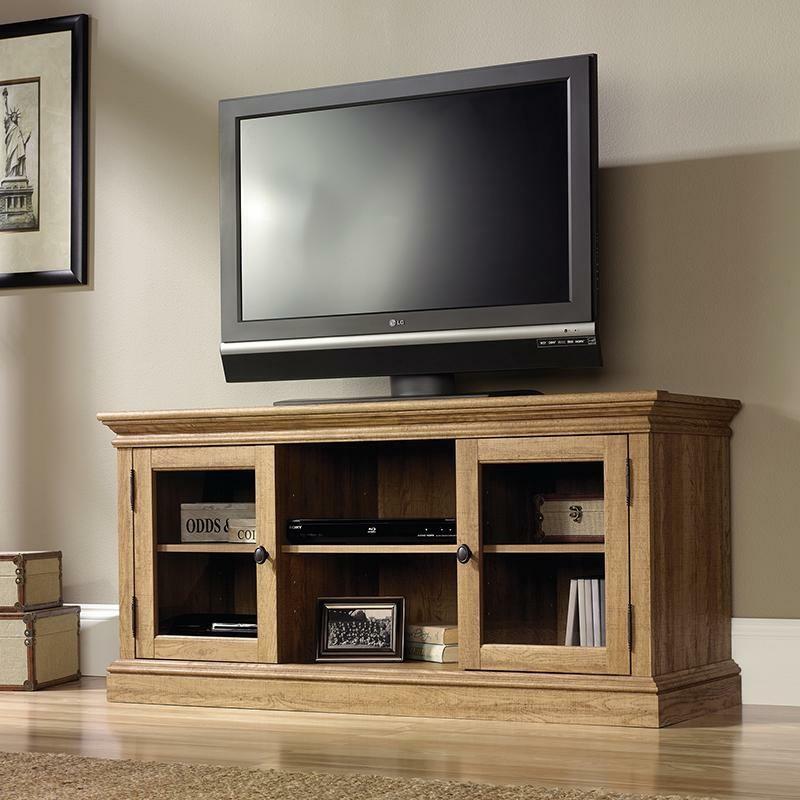 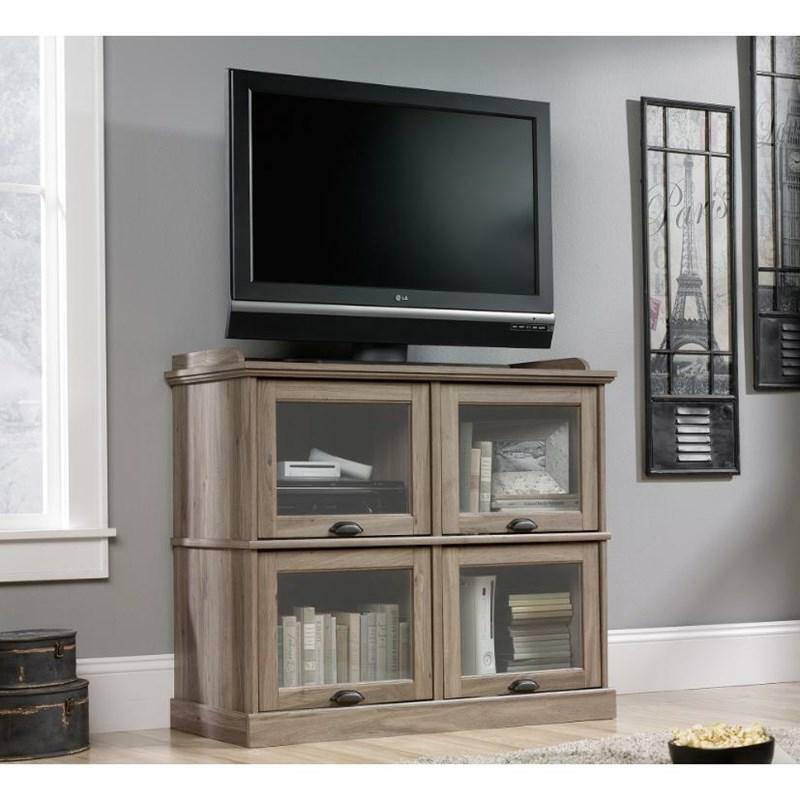 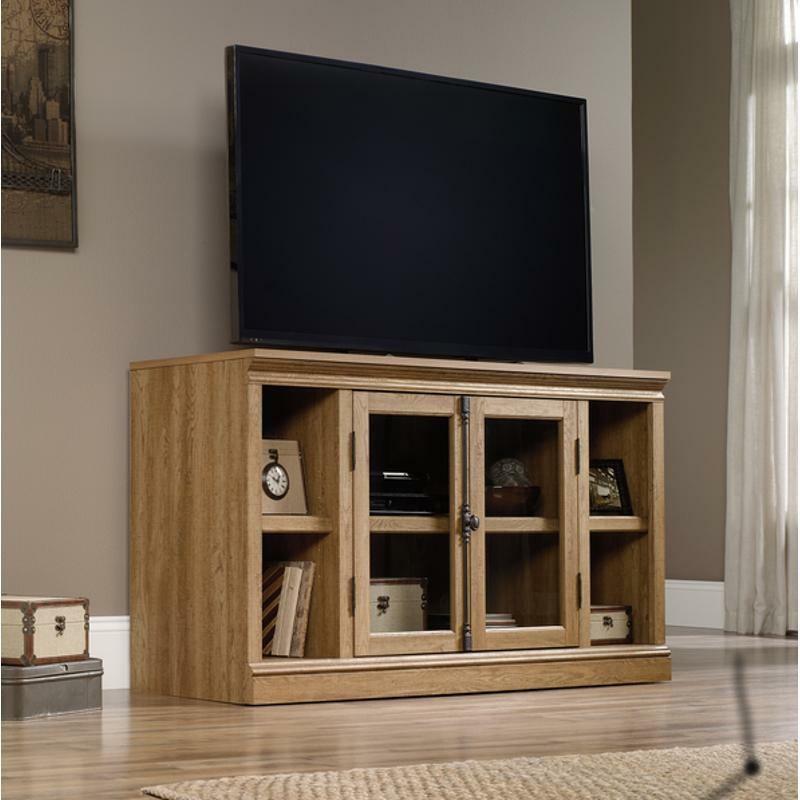 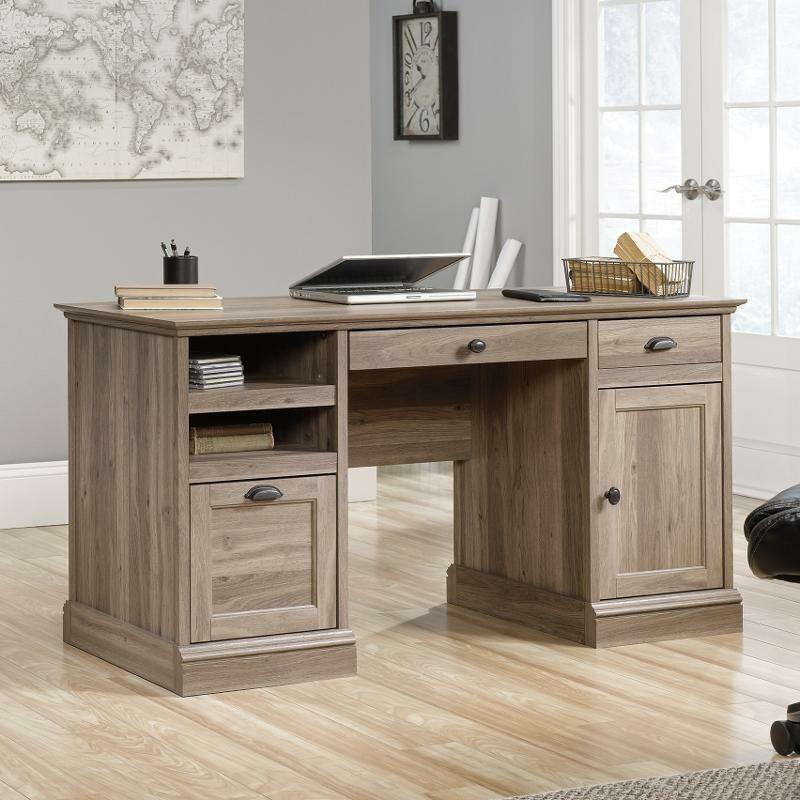 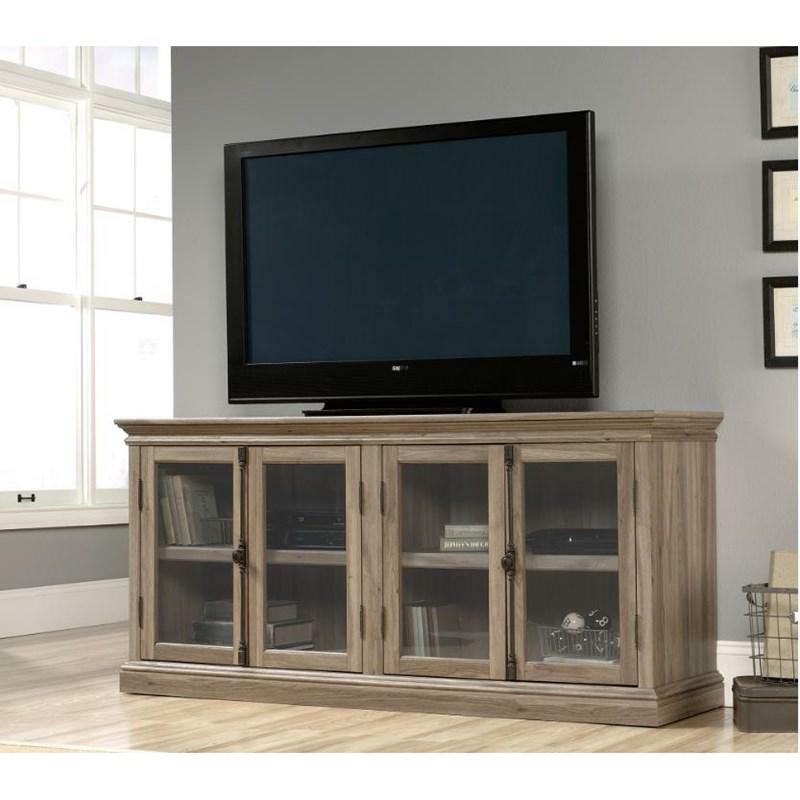 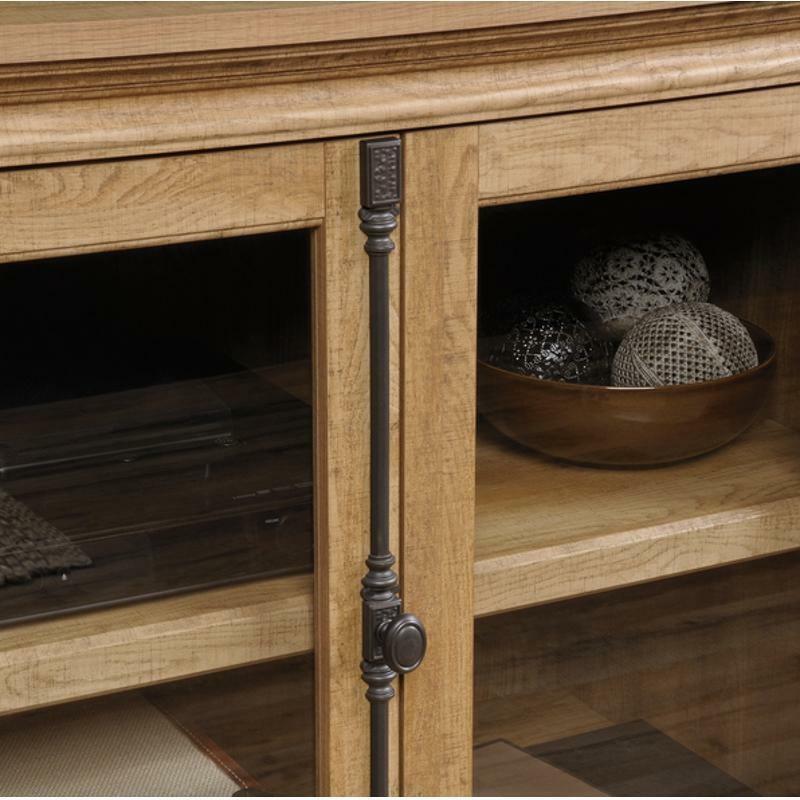 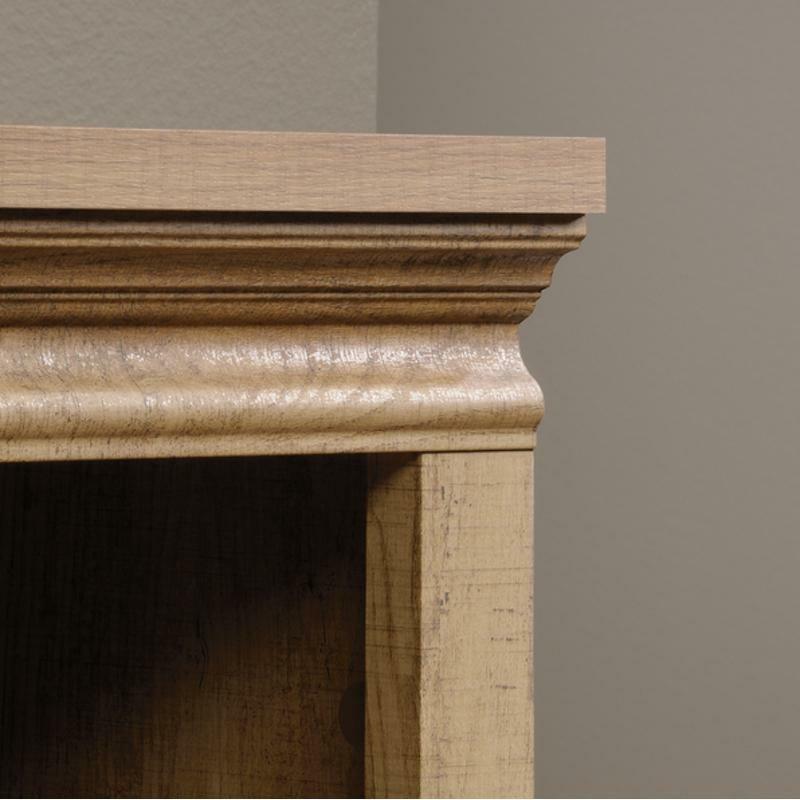 This stylish Barrister Lane Credenza from Sauder comes in a Scribed Oak finish. 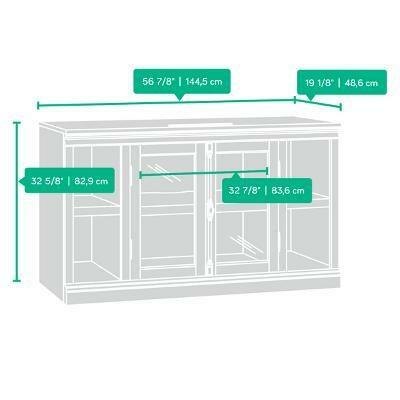 It features a large adjustable shelf behind the framed, safety-tempered glass doors which holds audio/video equipment. 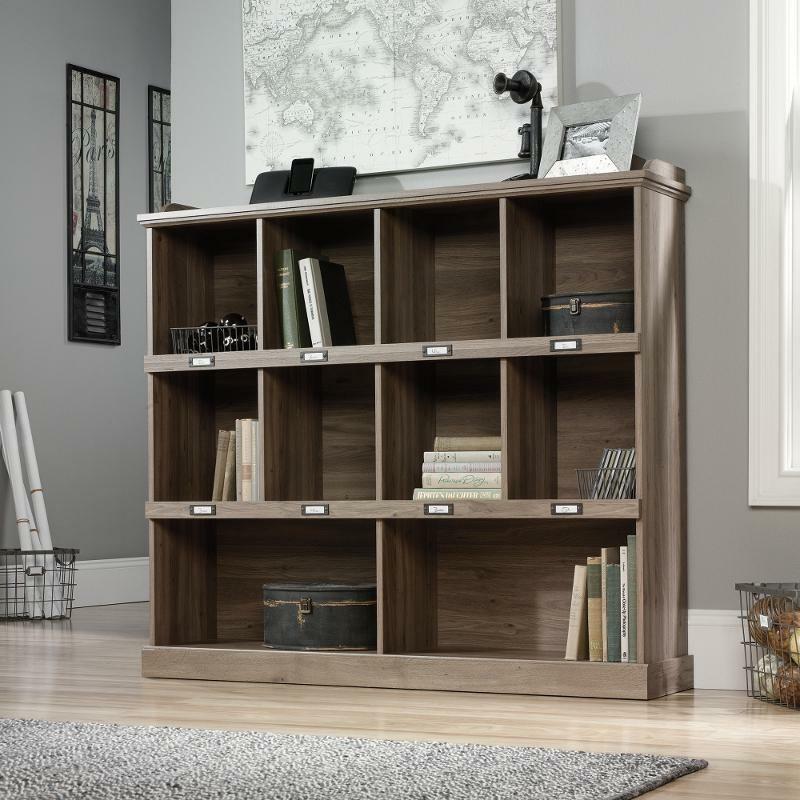 It has two open compartments with two small adjustable shelves. 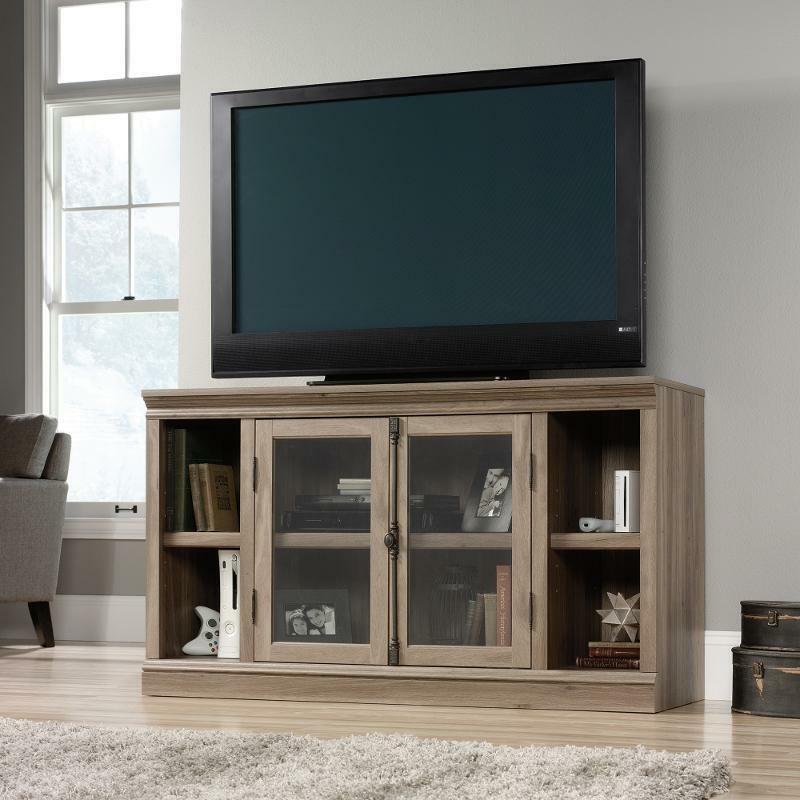 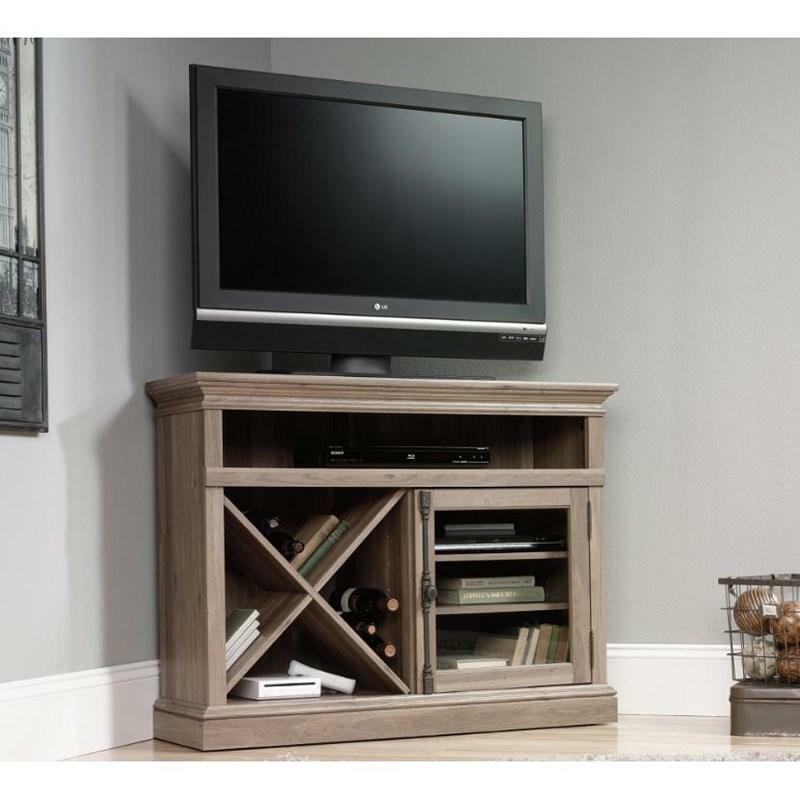 It can accommodate up to a 60” TV weighing 95 lbs or less. 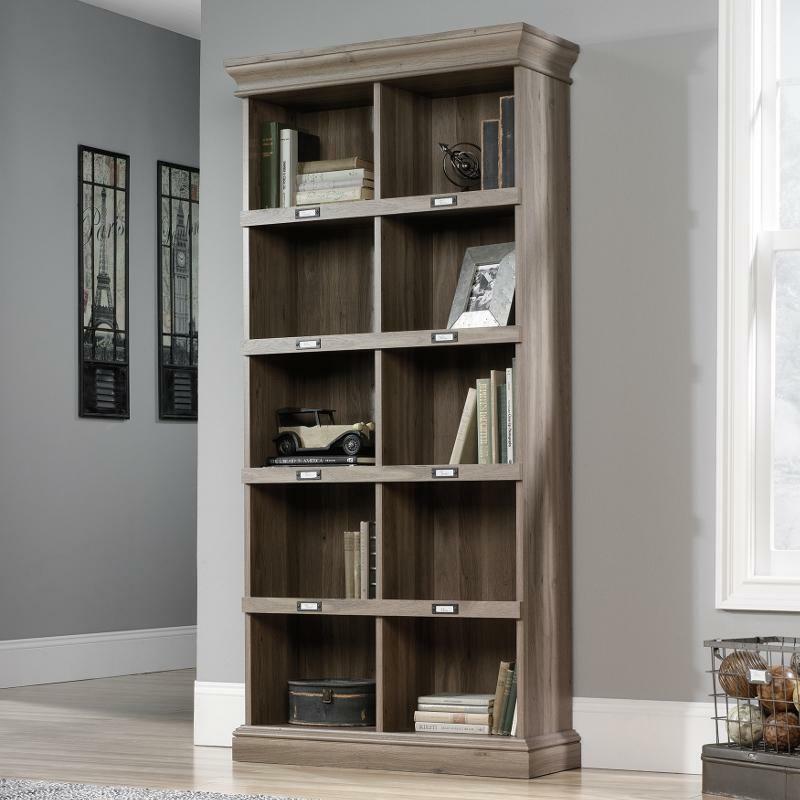 The Barrister Lane Tall Bookcase from Sauder features ID label tags, cubbyhole storage and a salt oak finish. 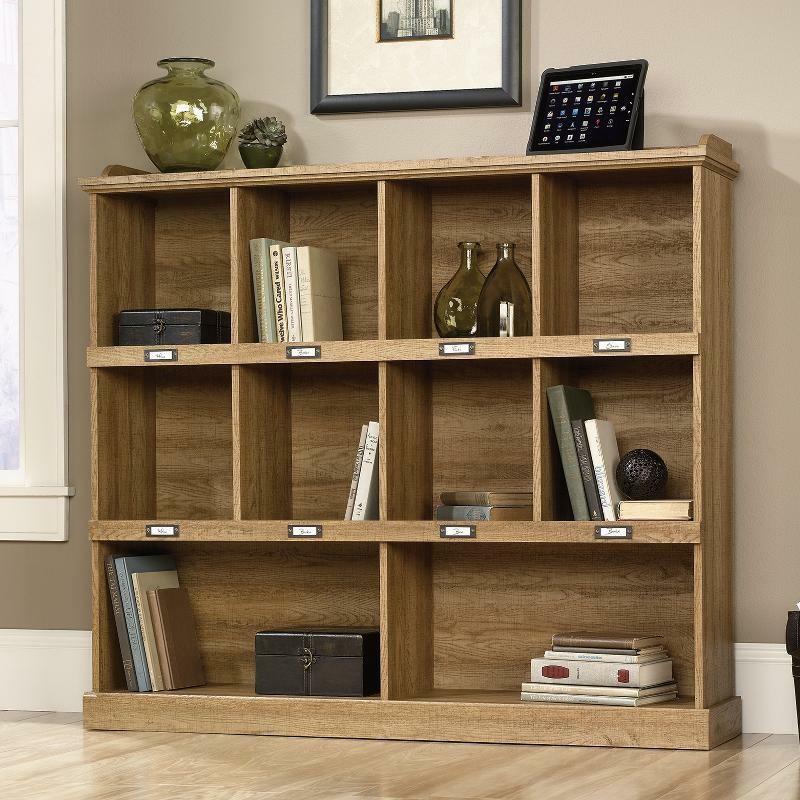 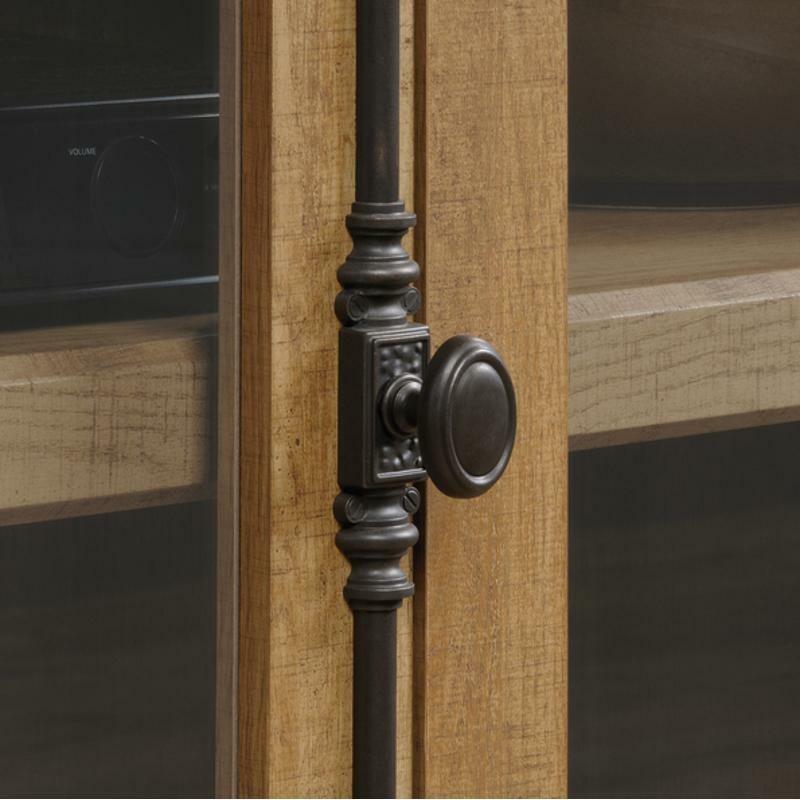 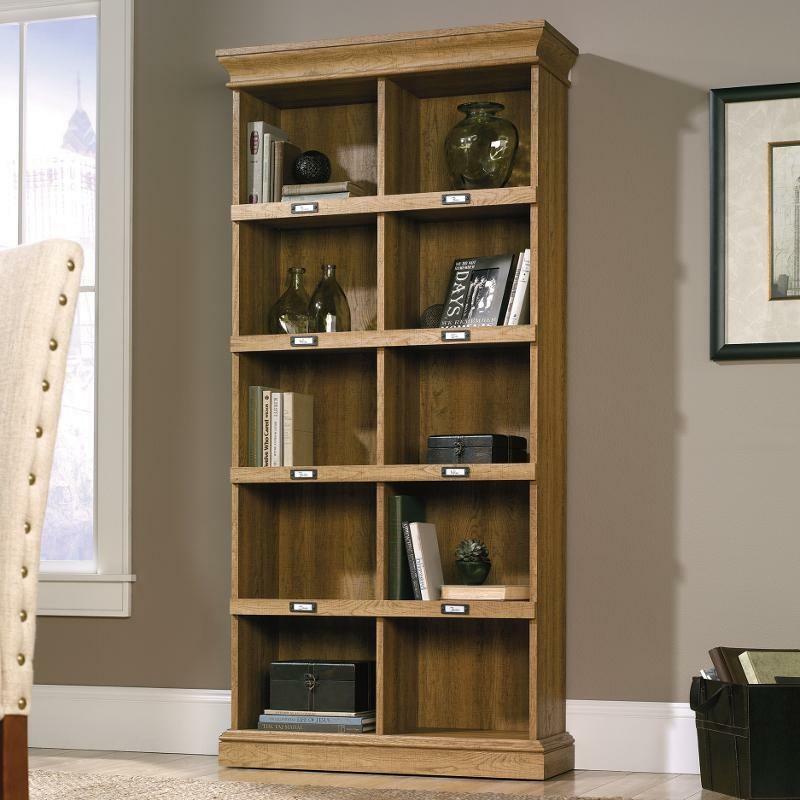 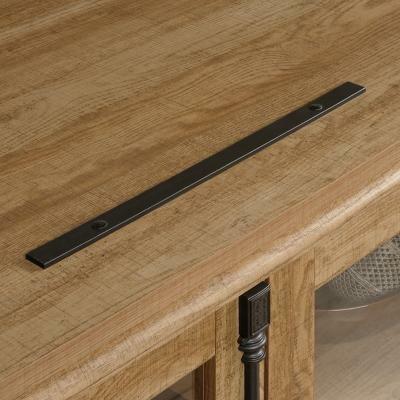 The Barrister Lane Tall Bookcase from Sauder features ID label tags, cubbyhole storage and a scribed oak finish.